Four Pack Mystery Sign Kit - Man Cave And Garage Decoration Starter Pack - Weatherproof Tin Construction, Pre-Punched Holes, Vintage Artwork | BUDK.com - Knives & Swords At The Lowest Prices! 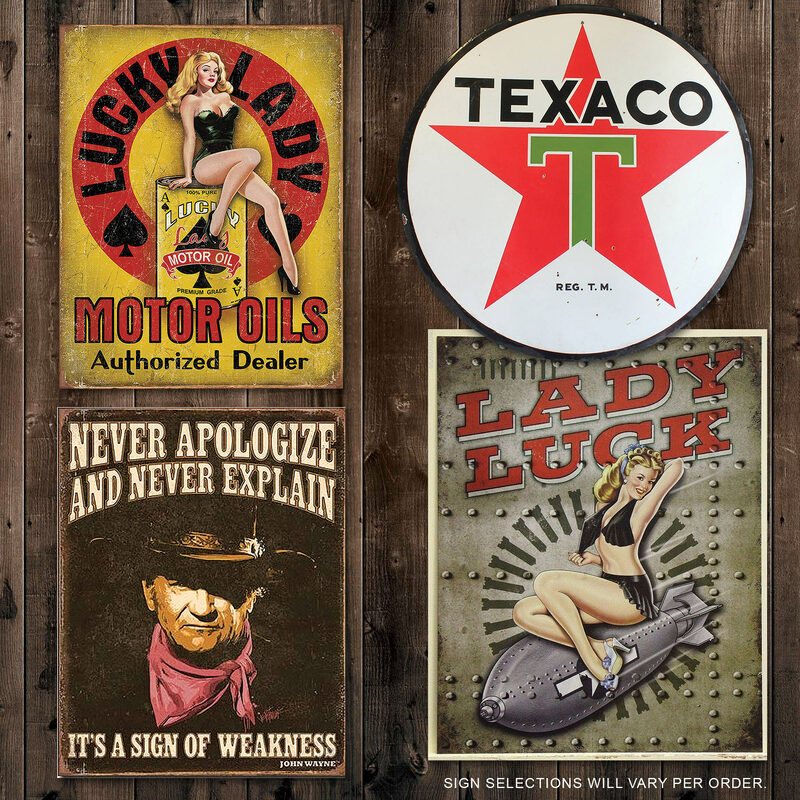 The vintage look of these tin signs and their homage to old-timey advertising makes them a great addition to your man cave or garage. In fact, they are a must for any red-blooded American man’s domain! The exquisite artwork on the signs looks so genuinely vintage that the signs look like they could have been posted on the wall of a mechanic’s garage in the 1950s. Top-quality, corrosion resistant metal construction and advanced, fade resistant printing allows for posting the signs outdoors, too, if you don’t have a garage or man cave. They also feature rolled edges and pre-punched mounting holes so that they are ready to hang in your domain. It's a good deal and quality is good but if you order two sets you will get the same selections for both.